Apple reportedly told suppliers it would need 20% fewer iPhone components for the second half of the year. The stock sank more than 2% following the report from Nikkei Asian Review. Follow Apple’s stock price in real-time here. Shares of Apple slid more than 2% in early trading Friday after the company told suppliers it would need 20% fewer parts for iPhones for the rest of 2018, according to the Nikkei Asian Review. 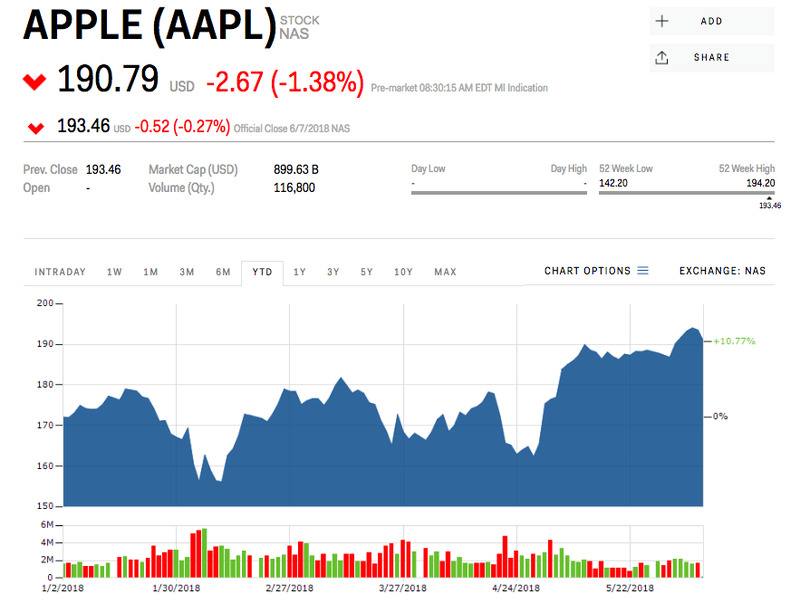 Reuters reported that Apple expects total iPhone shipments this year to be 80 million – a steep decline from the 100 million Apple had planned for the same time last year. The reported memo to suppliers is yet another milepost in Apple’s transition from a hardware company to a more services-based business. In March, Morgan Stanley said it expected more than half of Apple’s revenue growth over the next five years to come from services. It says the iPhone, which has contributed to 86% of Apple’s revenue growth over the past five years, will make up just 22% of the company’s revenue growth over the next five. 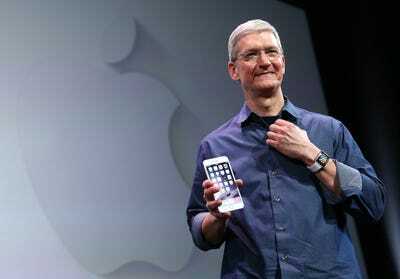 Apple stock hit an all-time high this week as its developer conference, WWDC, kicked off in California. You can read all 21 game-changing announcements Apple made at the conference here. Shares are up 11% this year.